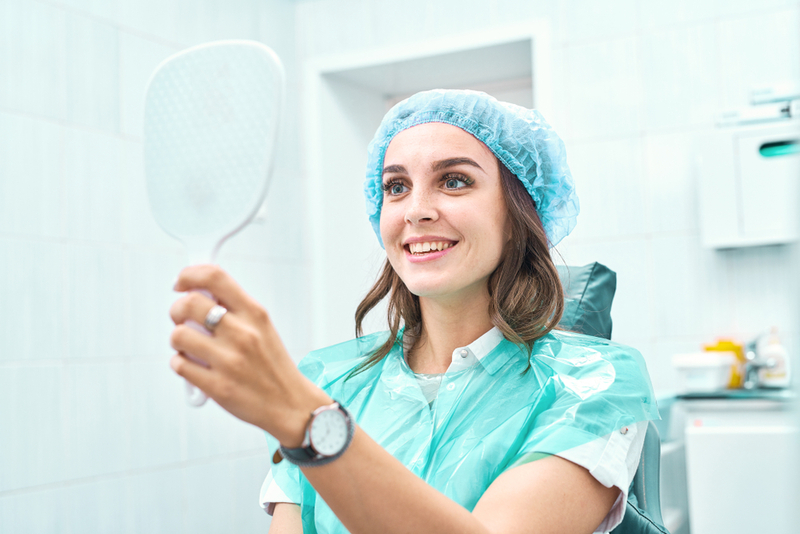 If you are missing a tooth, if you have a conventional tooth loss solution that isn’t working well for you, or if you have been told you can expect an extraction, you are probably thinking about what your options are regarding replacing it. Tooth loss is exceedingly common, but it is still something which can cause us significant emotional trauma as well as affecting our ability to use our mouth as we used to. One of the latest and arguably best tooth loss solutions currently available is dental implants. Dental implants have a completely unique design. Most notably, they don’t rely on any surrounding teeth to support them. This is because the key part of their structure is a titanium post. This post acts as a root for the artificial tooth and is inserted down through the gums and into a pre-drilled hole in the jawbone. Once the implant post has been inserted, the bone and gum will automatically start to heal around it. This process, known as osseointegration, gives dental implants the permanence and stability for which they are most known. It can take a number of months for the implant posts to be permanently secured in place. During this time, you will be fitted with a temporary crown, or in the case of multiple missing teeth, dentures. This enables you to still use your teeth and mouth while osseointegration is taking place. A few months later, you will be able to return to our dentist for your custom-designed, permanent prosthetic tooth or implant-supported denture to be fitted. The visible part of your tooth is normally a crown or selection of crowns that is created from porcelain. This porcelain is available in a range of shades making it easy to match your artificial teeth to your natural ones. This is a key factor in dental implants being deemed to be the closest possible alternative to natural teeth. Once your final, permanent prosthetics are in place, your implant procedure is considered complete and you will be able to use your teeth as fully as you did before. What happens if my jaw bone doesn’t grow around the implant, or if my dentist says my jawbone isn’t suitable for dental implants? The success of dental implants relies on the patient having sufficient healthy bone. It is for this reason that our dentist will carefully assess the quality of your jawbone before deciding if you are a good candidate for dental implants, and why the success rate for implants is so high. A good dentist won’t put a patient forward for implants if their jawbone quality is poor. Therefore, it is highly unlikely that, if you are considered a suitable candidate, your implants would fail. If, during your jawbone assessment, our dentist decides that the health or quality of your jaw is insufficient, you may be recommended for bone grafting. This involves taking healthy bone from another part of the body and grafting it onto your jaw, triggering growth and reinforcing the bone. Dental implants are widely thought of to be the most resilient and long-lasting of all dental solutions, and studies have shown that with proper care and attention from the wearer and a professional dentist, it is not unreasonable to expect them to last several decades or more. However, for this to be an accurate estimation, it is essential that the patient is fully committed to a robust oral hygiene routine. While the prosthetics themselves cannot become decayed, it is still possible for the patient to develop periodontal disease which, if allowed to progress, could eventually lead to deterioration of the gum tissue and jaw bone, putting the viability of the implants at risk. If you are interested in finding out more about how dental implants work and determining if you are a suitable candidate for this revolutionary solution for missing teeth, we would be delighted to assist you. Please contact our offices to schedule a consultation appointment. © 2019 - Burton Langer, DMD, MScD & Laureen Langer, DDS | Accessibility Statement | All rights reserved.